The South Carolina native is a big race kind of guy. 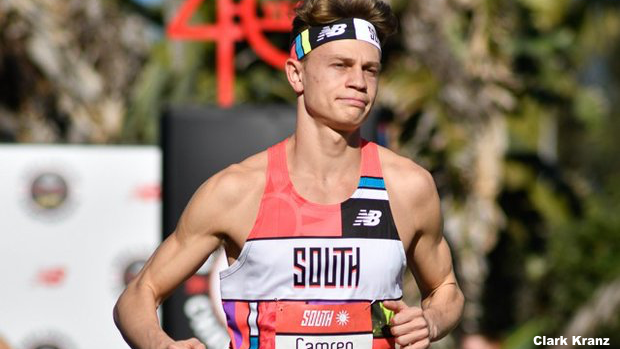 He has several SCHSL State Championships and just as many runner-up finishes on his resume, including the 2018 XC title. But, that's not all, Baker also has a top 10 national meet finish with his eighth place Foot Locker National Championship finish. His probability for a TDF win are amplified by his current fitness level. Baker ran a 25:20 8K at the USATF Cross Country Championships where he finished 15th overall. For good measure, he also has a 9:09.23 3200m and a 4:17.58 1600m on the season. What also makes him a prime candidate for the TDF wins is that he already has a sub 15 min track 5K under his belt with his 14:51.42 at last year's NBNO. This dude is experienced, in shape, and is coming to TDF to win! Reading is an accomplished runner, as he is the Colorado 2018 XC runner-up. He also gained valuable experience with national meet racing. He placed 6th overall with at 14:52.90 at the Nike Desert Twilight Festival in Casa Grande, AZ. 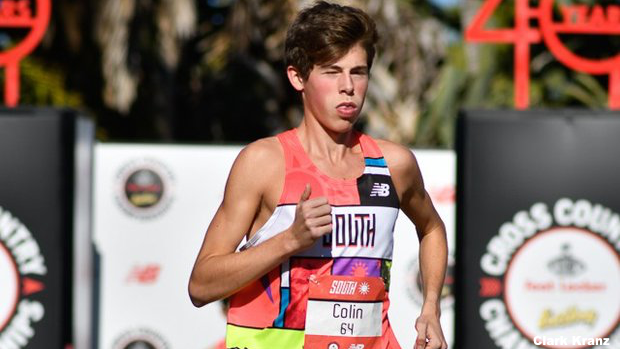 That was just the beginning as he finished his season on the national scene with top championship finishes with his 17th overall at Nike Cross Nationals (NXN) and 19th at the Foot Locker National Championship. If you don't know who Camren Fisher is then you haven't been paying attention to the distance running scene the past two seasons. Fisher is the real deal! The kid is one of the few to ever qualify individually for both NXN and Foot Locker Championships in the same year......twice! To do that, you have to be either very lucky, blessed and highly favored, or very good. He is very good. Fischer is also the Arkansas champion in just about everything and he clearly knows how to handle the national elite level due to his experience and success. Fischer has a good track record of competing well in the state of Texas and looks to continue that this weekend at TDF by running to a win. 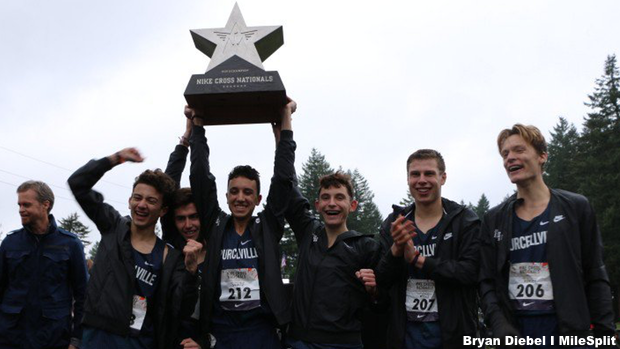 Yes, that is Carlos Shultz hoisting the 2019 NXN national championship team trophy. 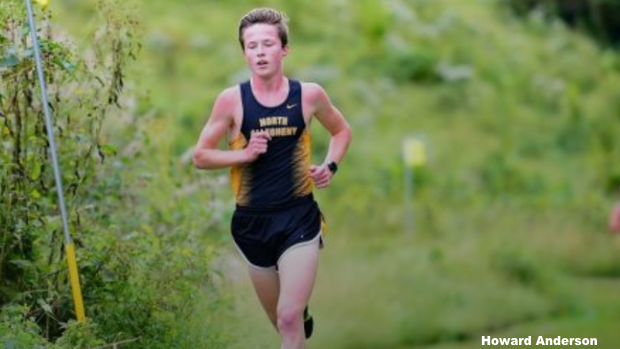 Shultz is from the powerhouse and back to back NXN champs Loundoun Valley HS, where they are known for turning out top distance runners on the boys side. This season, he finished seventh at the VHSL State Cross Country Championships with four of his teammates finishing ahead of him and the other two not far behind him helping them to another Virginia state title as they placed their entire top seven runners in the top ten at the state meet. As a junior, Shultz will be making his first appearance at the TDF, but have no doubts, he is coming to win and he is capable. 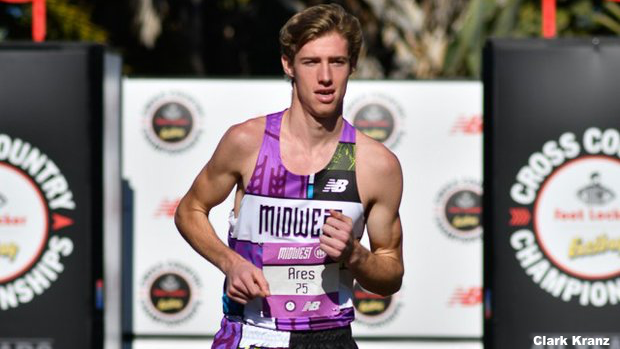 In other national meets, he finished seventh at the 2019 Great American Cross Country Festival and then finished 30th overall at NXN. Don't let his modest track times fool you, this kid can run and he knows how to win. North Allegheny senior Kinne is experienced in running in multiple states. He is an All-State runner in two different states (Illinois and Pennsylvania). This past Fall, Kinne finished runner-up at the Pennsylvania PIAA State Championships in XC. He also qualified for NXN individually. This is the second go around for Kinne as he finished eighth over all at last year's Texas Distance Festival in 14:47.01. Having competed in two of he toughest XC states in the country, a flat track with warm weather should be right up Kinne's alley and a good recipe to give him a good shot for the win this year.